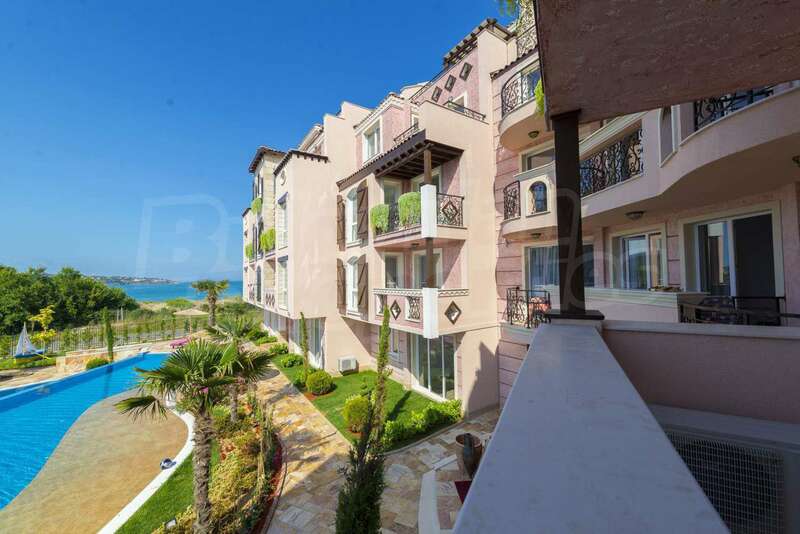 Apartment for sale in Saint John in Sozopol, Bulgaria. 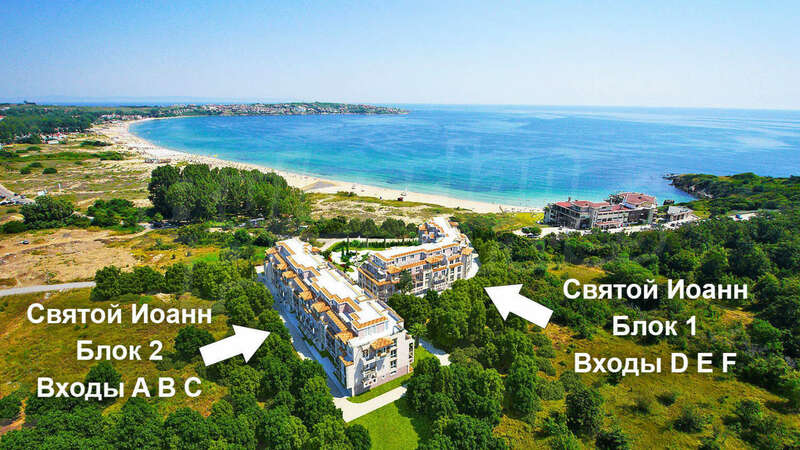 Modern Beach-front Holiday Apartments in Sozopol. 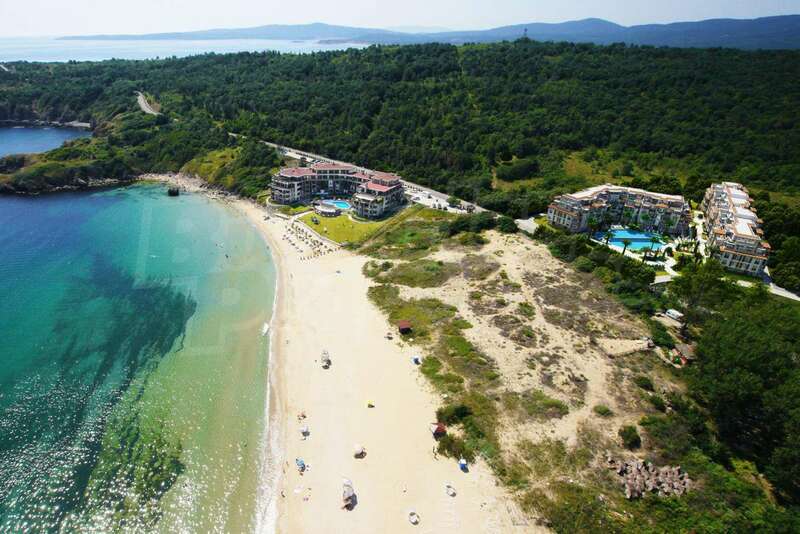 Attractive offer for holiday property - studio, 1-bedroom or 2-bedroom apartment, with perfect location in Sozopol, right next to beach "Kavatsi". The dwellings are completed to a "turnkey" level (in sections A, B and C), with available for sale fully furnished properties as well (in sections D and F). 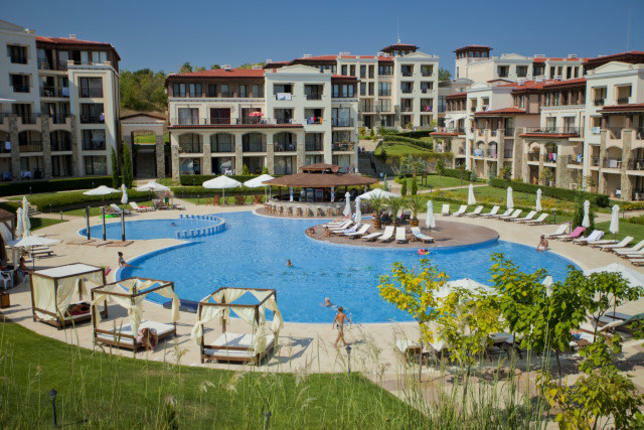 St. John Complex stands out with stylish Mediterranean architecture amidst the beautiful scenery of the Strandzha Mountain and a sea view of the most popular beach just 3 km away from the centre of Sozopol. 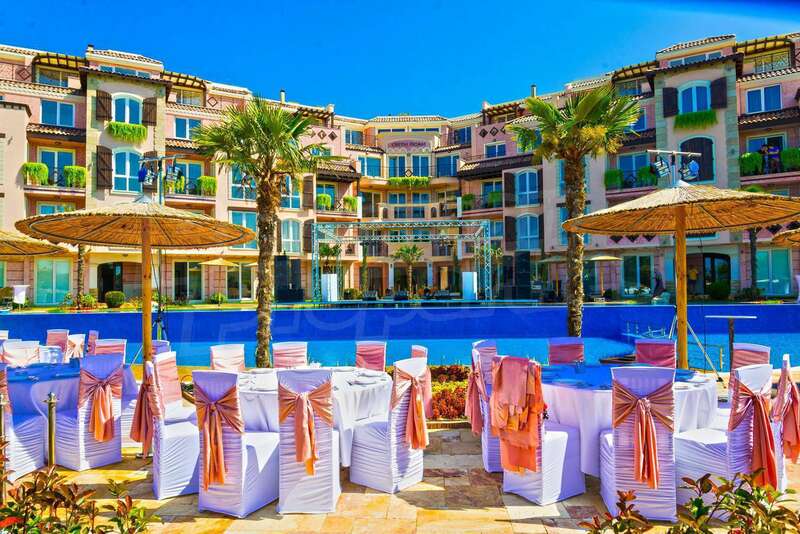 The elegant complex consists of 2 buildings, 6 sections, with a total area of over 10 000 sq.m. 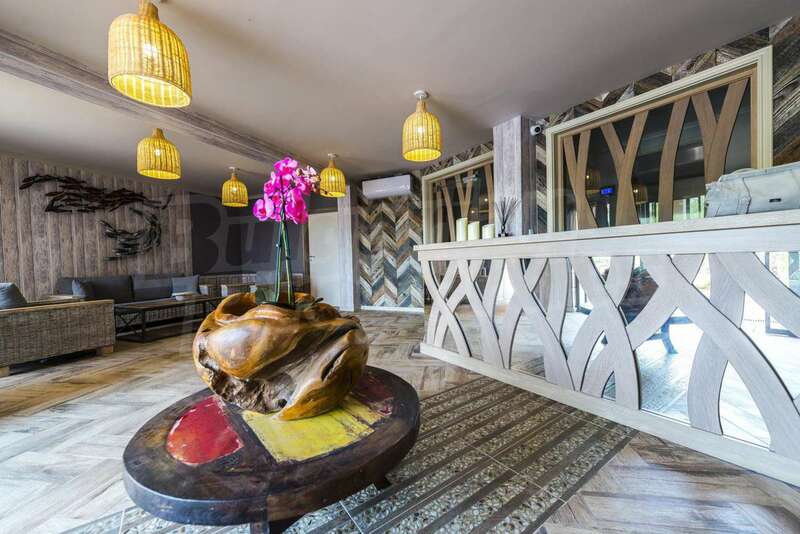 The properties for sale are studios, 1-bedroom and 2-bedroom apartments with favourable exposure and functional distribution. Each building has 5 residential floors. Sections A, B and C (planned completion of construction in June 2020) and D, E, F - completed construction. The construction of the complex is completed with high-class energy efficiency materials, with heat and waterproofing systems and modern installations. 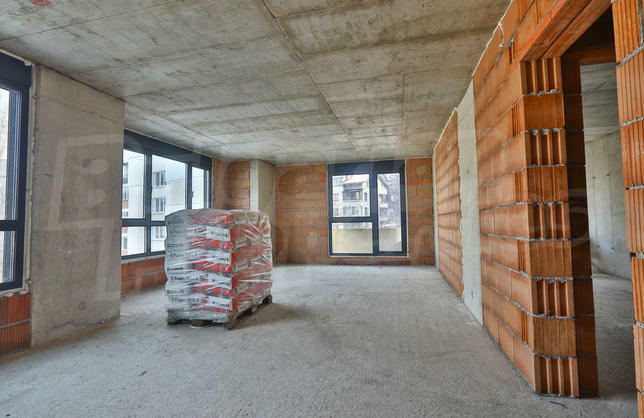 The elegant apartments will be equipped with maximum care for the owners and tenants, as well as interior decoration, satisfying the tastes of the most demanding of them. 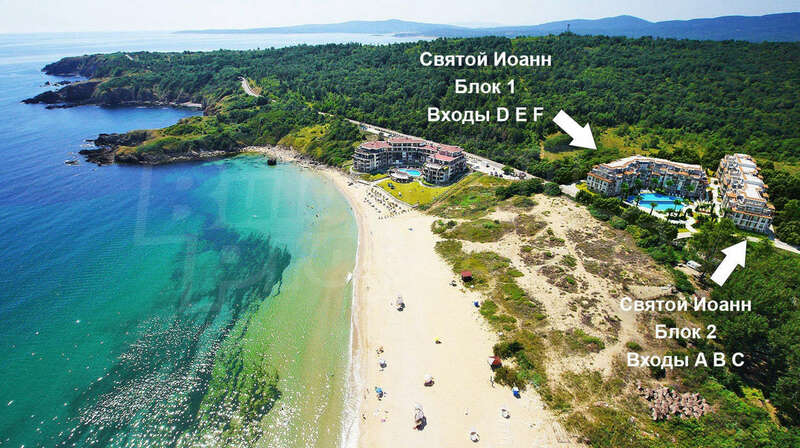 The holiday properties will have a favourable exposure, with beautiful views of the greenery of the Strandzha hills, the sea and the sand dunes. The common areas will be luxuriously finished, with natural stone flooring and walls with decorative interior plaster. Each section will be equipped with a high-end modern elevator. 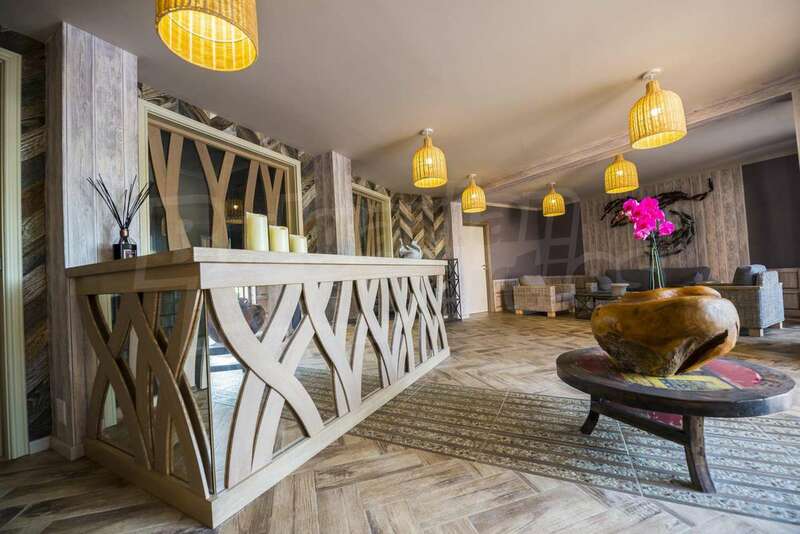 The complex offers many services on site: reception, parking, security and maintenance, infinity pool, relaxation areas and a beautiful garden with landscape design. There is also a spa with a pool, sauna, Jacuzzi and massages. The specific architectural solution allows the complex to stand out against the background of other buildings. 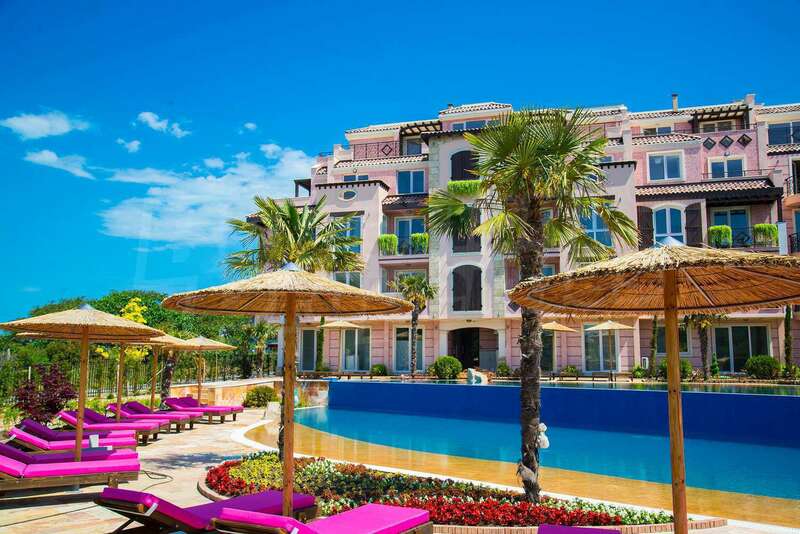 The main concept is a harmonious combination of tranquil pastel and colourful accents of the Mediterranean architectural style with the surrounding natural environment and unique sea panorama. 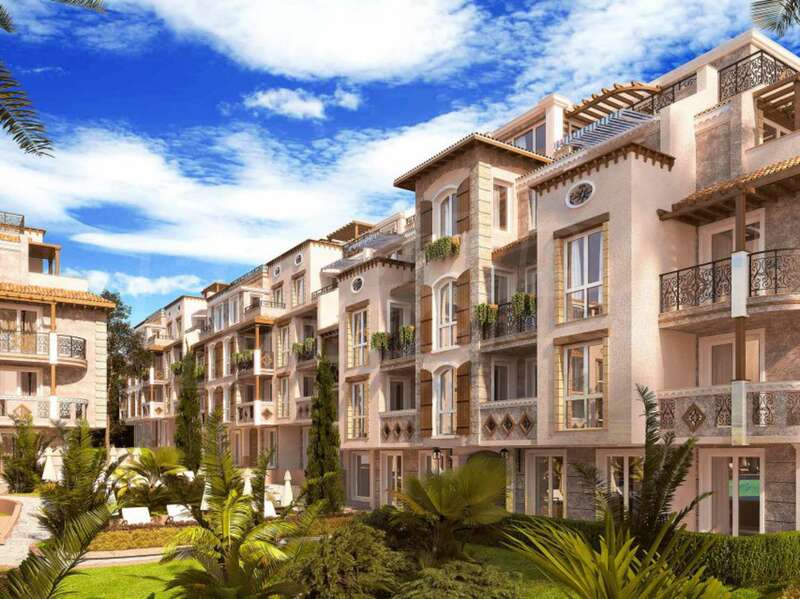 The façade will feature elegant details and forged elements, as well as spacious terraces, most of which with sea views. • Parking and other extras and entertainment. 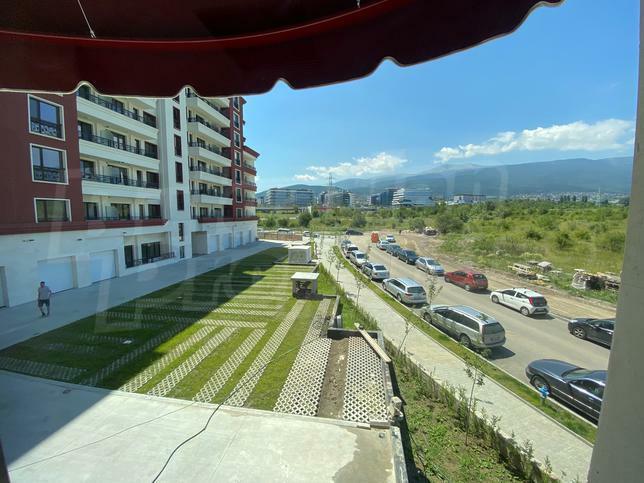 Situated only 80 meters from the beach, amidst the beautiful scenery of Strandzha Mountain, in a favourable environment for living and recreation, St. John offers the opportunity to choose a home for private use or successful rental in the summer months.